Expand your people skills, get to know your comfort zone and stretch it! Launched in 1997 for teaching purposes, on the forest grounds of CVJM Karlsruhe at Adennauerring, the “Outdoor park” became Karlsruhe’s first high rope course. The purpose of the course is to provide participants with three to six hours of training and inspire them to play a more active role in the community and engage in socially-responsible behaviour. All groups are welcome, with a minimum group size of 8. In addition to team-building exercises, the outdoor park also offers floodlit climbing and high rope taster sessions. The club also offers GPS treasure hunts in the Hardtwald and canoe tours on the Altrhein river. There are eight high rope courses. Combined with the 9 metre climbing tower, participants learn to explore their comfort zone. 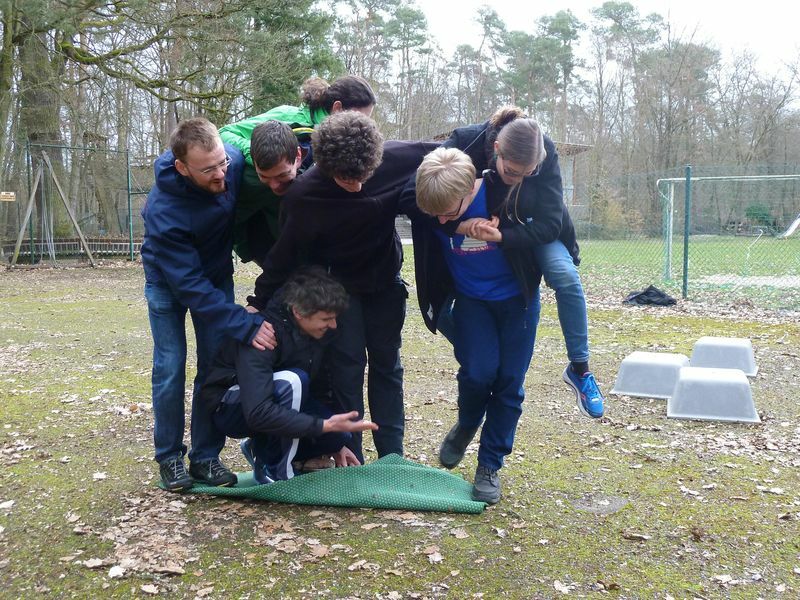 In total there are 40 different team-building exercises (most of them close to the ground), to demonstrate the importance of mutual support. Unless everyone contributes, the task can’t be completed.